Which one of the following is not a physical change? A student placed a thermometer in a test tube half-filled with water. It can easily be reversed. A completely new substance is formed. It involves a change in energy. 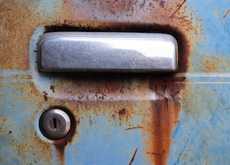 Rusting is a serious problem with metal structures. Which one of the following is NOT a condition necessary for rusting? 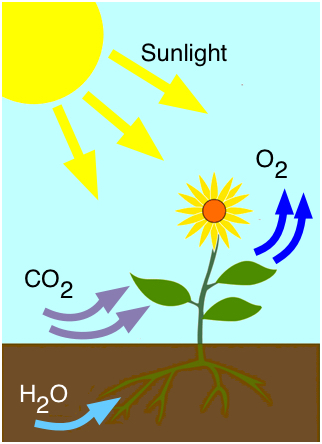 Photosynthesis is an important chemical reaction that takes place in plants. 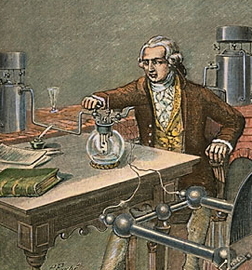 Which French scientist showed that matter was neither created or destroyed during a chemical reaction? _______ cannot be created or destroyed, but can be __________ from one form to another. In any chemical reaction, the total mass of the reactants is always equal to the mass of the ___________. 12 grams of baking soda and 7 grams of vinegar are mixed together in a sealed container whose mass is 25 grams. After the reaction has completed, what will the combined mass of the container and products be? There are two forms of copper sulfate. One of these looks like a powder, while the other is crystalline in appearance. What are the colours of these substances? Water can be broken down into hydrogen and oxygen gases. In such a reaction, 24 cm3 of hydrogen gas is formed. What volume of oxygen gas should be formed in the same reaction? In an exothermic reaction, the energy of the reactants is _________ the energy of the products. In an endothermic reaction, the energy of the reactants is _________ the energy of the products. The rate of reaction can easily be measured. Which one of the following does not measure the rate of a reaction? Recording the colour of the reacting mixture as the reaction takes place. 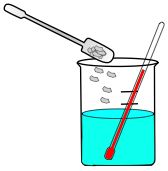 Measuring the amount of one of the products present as the reaction takes place. Measuring the amount of one of the reactants present as the reaction takes place. Measuring the temperature of the reaction. Which of the following factors does NOT affect the rate of a chemical reaction? Which one of the following chemical reactions takes place at the greatest rate? If the temperature of a reaction is decreased, what effect will this have on the reaction rate? The rate of reaction will decrease. The rate of reaction will increase. It will have no effect. 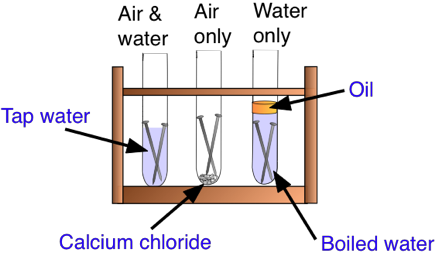 When sodium thiosulfate is added to hydrochloric acid, a slow reaction takes place in which a coloured precipitate of sulfur forms. What colour is this precipitate? Which one of the following factors increases the reaction rate? Which one of the following does heating the reactants generally NOT do to a reaction? Which of the following does NOT usually happen during a chemical reaction? 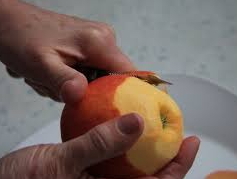 Peeling an apple is an example of a physical change. 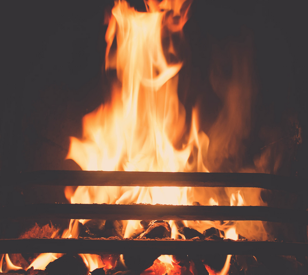 When you sweat, your body must supply heat so that the sweat evaporates. Which one of the following is an exothermic reaction? Magnesium burns in air with a bright flame, and a white powder forms. 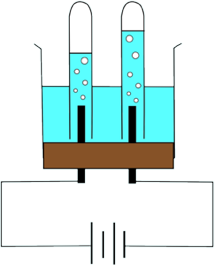 When performing an experiment to study the conditions necessary for rusting, some water is boiled and allowed to cool. Why is this done? 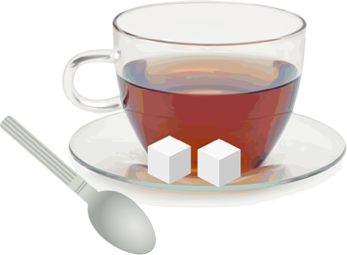 In an endothermic reaction, the products have _______ energy compared to the reactants.